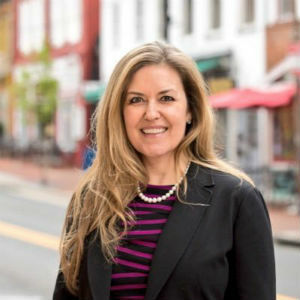 Congresswoman Jennifer Wexton (D-VA) and Congressman Denver Riggleman (D-VA) introduced the bipartisan FinCEN Improvement Act of 2019. The legislation would amend the duties of the Financial Crimes Enforcement Network (FinCEN) to ensure FinCEN works with tribal law enforcement agencies, protects against all forms of terrorism, and focuses on virtual currencies. “Yesterday, I partnered with my colleague and fellow Virginian Rep. Jennifer Wexton in introducing the ‘FinCEN Improvement Act of 2019’. This legislation strengthens the Financial Criminal Enforcement Network’s mission by expanding its capabilities and creating more opportunities for partnerships with other law enforcement agencies. Expanding FinCEN’s mission prioritizes national security and prevents terrorists, criminals, and other bad actors from abusing our financial system.”said Congressman Denver Riggleman. Congresswoman Jennifer Wexton and Congressman Denver Riggleman are freshmen members from the Virginia delegation serving on the Financial Services Committee, which has jurisdiction over the legislation. A companion version of the legislation was also introduced in the Senate yesterday.